Help Elmo learn all about life on the farm in Sesame Street's Elmo on the Move: On the Farm! In this activity and coloring book series from Sesame Workshop, Elmo will help introduce your young child to brand-new environments, while underlining the importance of safety, and listening to and trusting the people in charge. 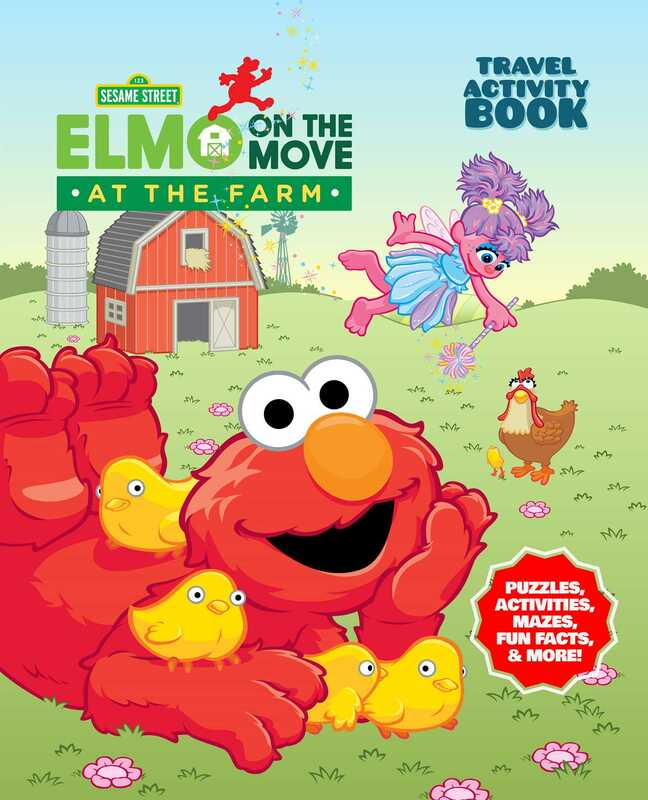 In the second book of Sesame Street's Elmo on the Move series, Elmo is helping out at the farm! Can he learn how to work well with the animals and the tools? In this entertaining activity book—with the help of Elmo, Big Bird, Bert, Ernie, and more of your favorite Sesame Street characters—your child will learn about how to feed the animals, what tools and equipment are used for certain jobs, and more! Accompanying the silliness of Elmo encountering animals around the farm, each colorful, illustrated page contains a fun, creative activity to help your child both learn about the airport and encourage skills such as creative thinking and problem-solving with puzzles, mazes, coloring pages, and more! Farms are fun and exciting places for kids, especially those who love animals. However, farms can also be dangerous for young children who don’t know what to expect. With Sesame Street's Elmo on the Move: On the Farm, your child not only learn how to stay safe and know what to do and not do, but also will be excited for the adventure of visiting a farm for the first time!